Value for money, serviced offices in central location on Headrow. 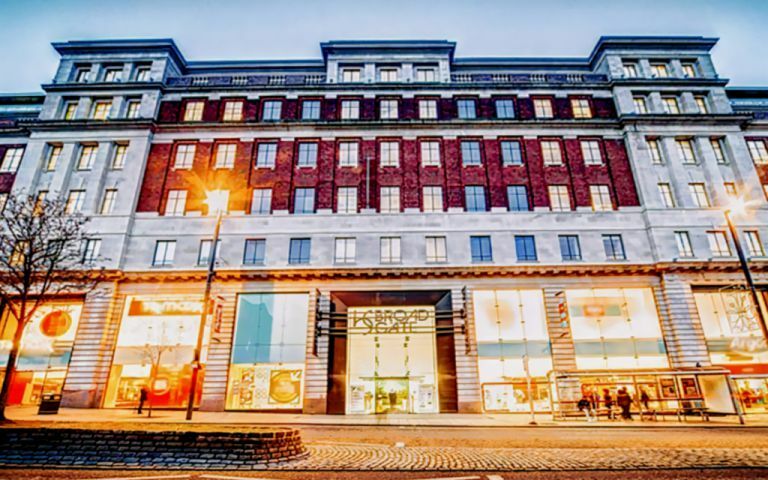 Broad Gate, The Headrow, gives you the opportunity to occupy an air -conditioned serviced office in Leeds most prestigious and dramatic office development. A range of small to medium sized serviced offices are available to let from 118 sq ft. The serviced offices at Broad Gate lie at the very heart of the city centre on the Headrow, traditionally Leeds' buiest thoroughfare. Very well served by public transport, readily accessible buses, a 5 minute walk to the train station and road links to the M1, A1 and M62. The enviable location creates a buisness destination with all the benefits of the city centre on its doorstep for the ultimate in staff convenience and amenity provision. These offices in The Headrow offer a range of prices depending upon your exact requirements. Contact us now and we will help find the best price for you, based on your individual needs.